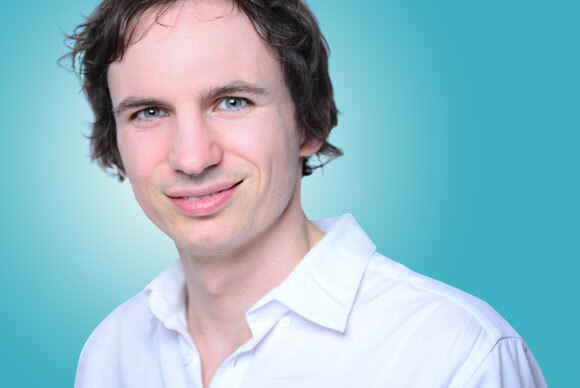 A warm welcome to the Holistic Chiro-Practice Berlin. Chiropractic is a free of pain, effective and pleasant method of treatment to relieve blockages of the spine and joints. Chiropractors are looking holistically at the interplay of the spine, nerves, joints and musculature in order to ease pain in a fast and, at the same time, gentle way. Further, it is a major principle of chiropractic to identify root causes by holistic diagnosis, in order to elevate your mobility and well-being in the long term. We are happy to advise you on if and how we may best help you. Please call us and we will take time for you. Our chiropractors have completed full-time academic studies, which guarantees the precision and quality of our manual treatments. With all that, your well-being is our main concern. As a chiropractor and non-medical practitioner, Jan is guiding his patients effectively and holistically on the path of well-being. As a chiropractor, his main concern is putting the patient in the center of attention. 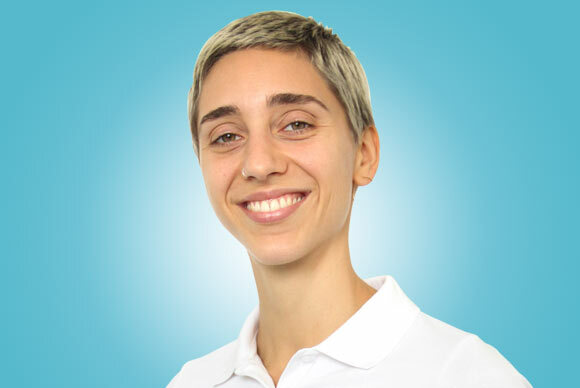 Patricia Peer is a Chiropractor and joined our team in the fall 2018. Your treatment success when suffering from pain is scientifically proven. By the union of modern medicine, a holistic approach and the ideas of man, chiropractic makes mobility, balance and vitality possible with lasting effects. At the beginning of the treatment our chiropractors will find out, together with you, how to realize a new way of life to improve the quality of your everyday life. For this, we are alway making use of creative and individual concepts. The human being is a complex system. In the model of chiropractic we are always having a positive influence on all levels of being. A chiropractor completes full-time academic studies lasting 5-7 years, guaranteeing the precision and quality of their manual treatment. You as a human being are always in the center of our attention. You will always get the time to fully explain all your ailments and problems. Jahrelang hatte ich Probleme mit meiner Wirbelsäule. Vor den Behandlungen durch Jan dachte ich daß sich Stress bei mir immer negativ auf die Wirbelsäule auswirkt. Doch schon nach den ersten Behandlungen gingen meine Probleme zurück und kamen auch bei späteren erhöhtem Stress nicht wieder. Ich habe das erste Mal seit einem Jahrzehnt einen so langen Zeitraum ohne Schmerzen verbracht. Durch Jans professionelle Behandlung sowie dem ganzheitlichen Ansatz kann er tiefer liegende Probleme erkennen und erfolgreich behandeln. Wer freundliche und vor allem kompetente Hilfe sucht ist bei Jan Müller genau richtig. Jan has helped our daughter so much! She trains five days a week in ballet and her body was really out of alignment from the intensity of her classes. Jan is always so good to find the root issue and help put her back together again. We’re so thankful for him! Ich habe Jan Müller gesucht, ich habe Ihn gefunden. Ich habe Ihn um Hilfe gebeten und nach unserem ersten Gespräch wusste ich, er kann nicht nur zuhören, er ist auch anempfindend. Ich fühlte mich ernst genommen, freundschaftlich angenommen und da war Vertrauen und Harmonie. Nach wenigen Sitzungen spürte ich Linderung, Klarheit im Kopf, zurückgeschenkte Lebensfreude und Hoffnung auf völlige Schmerzfreiheit. Ich kann wieder mit meinem Körper umgehen, und ich erfahre eine unermessliche Weite in meinem Inneren. 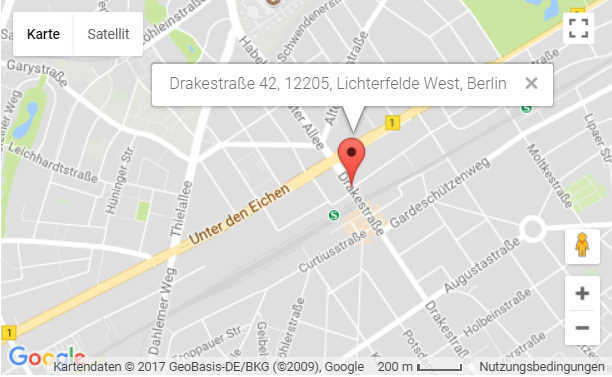 Dafür bin ich sehr dankbar.